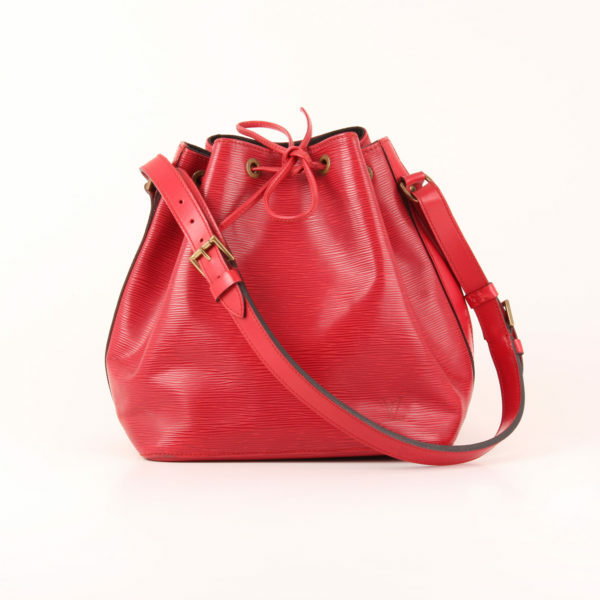 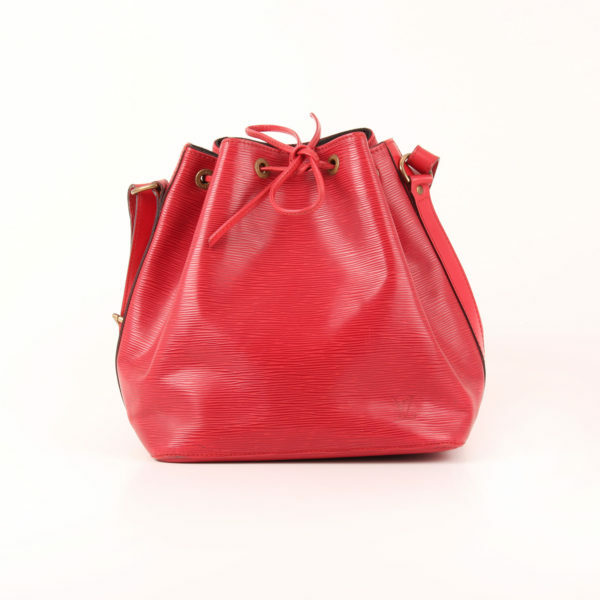 Noé Petit in Épi red leather. 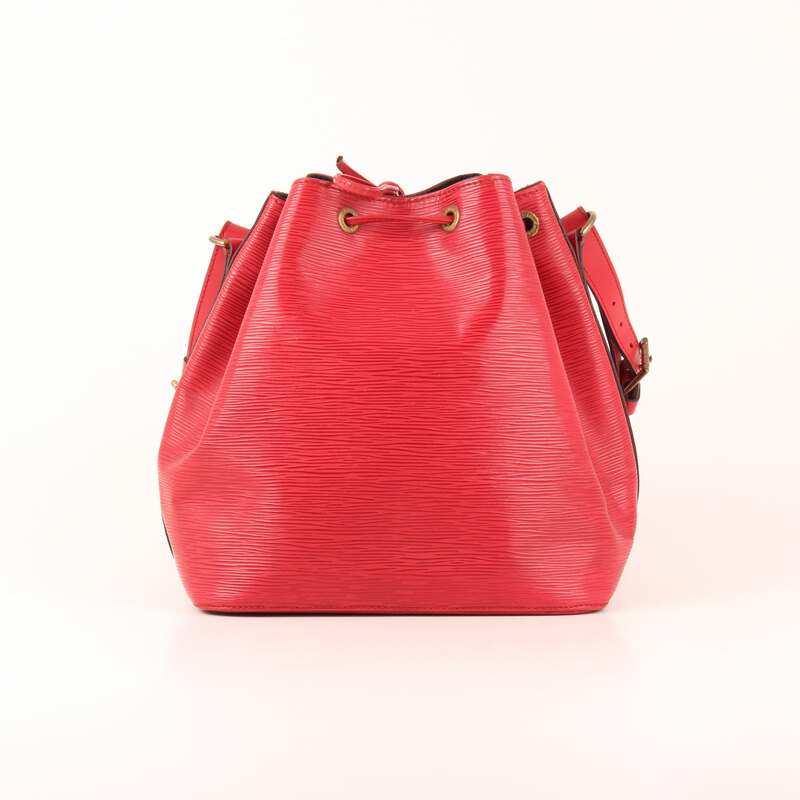 A flashy, practical and roomy tote bucket bag. 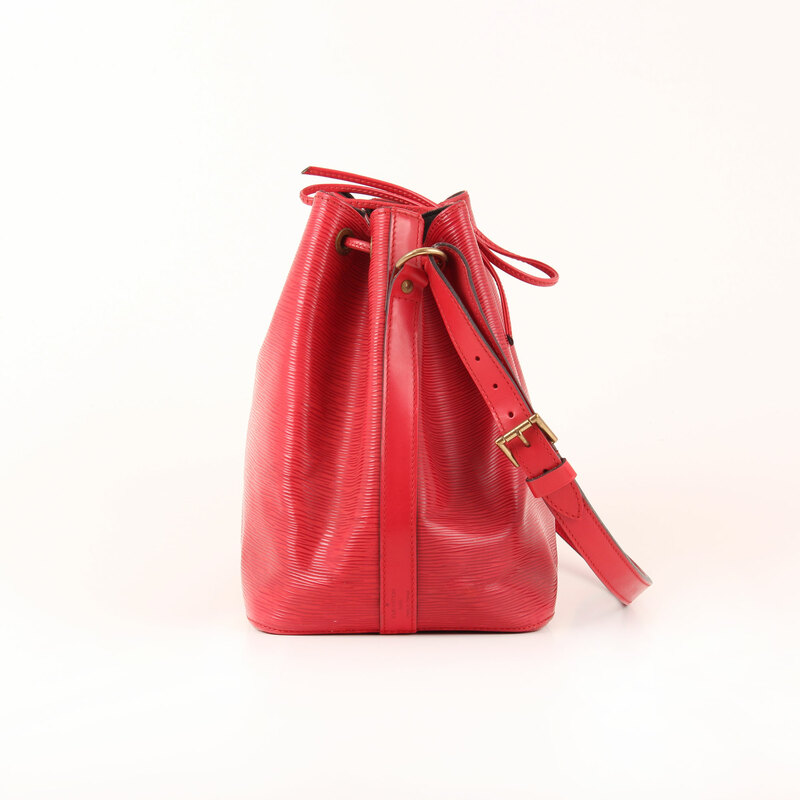 To add a touch of color to your basic daily outfits. 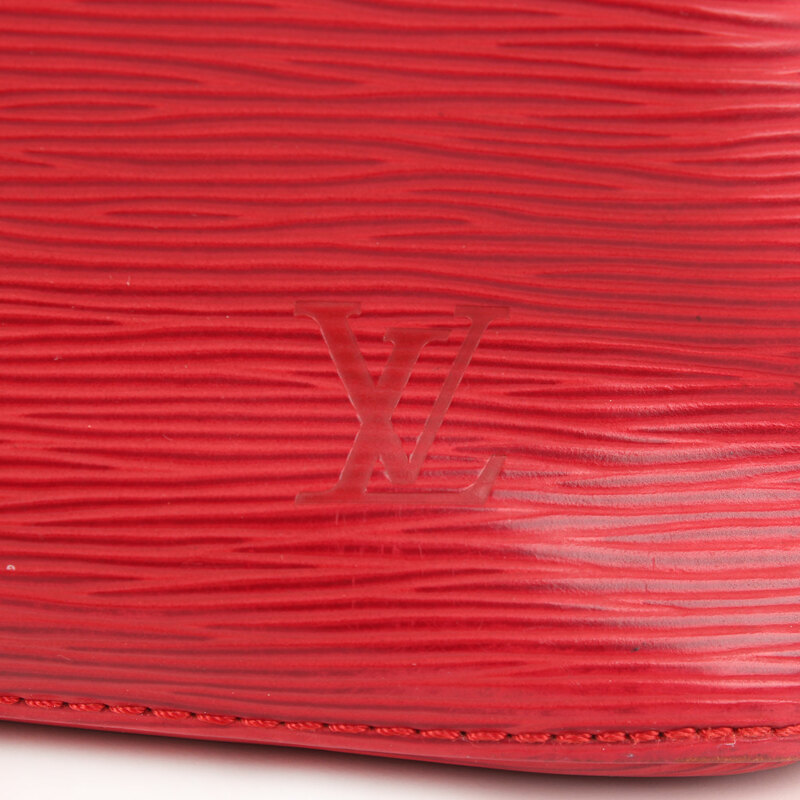 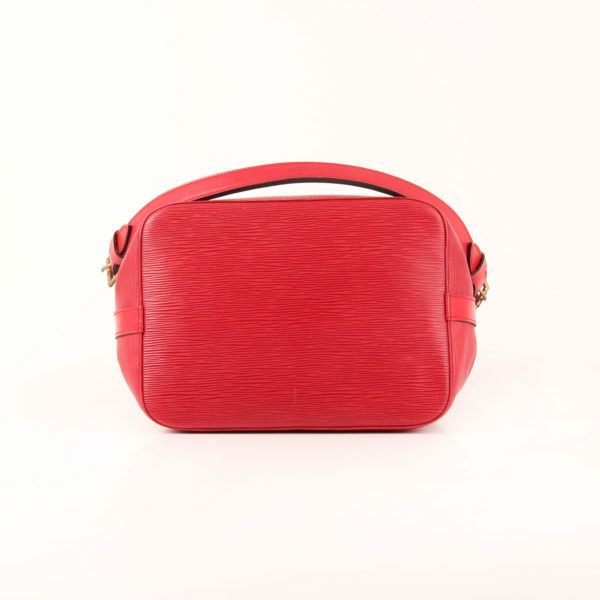 Really beautiful and comfortable model from Louis Vuitton, Noé Petit in Épi red leather. 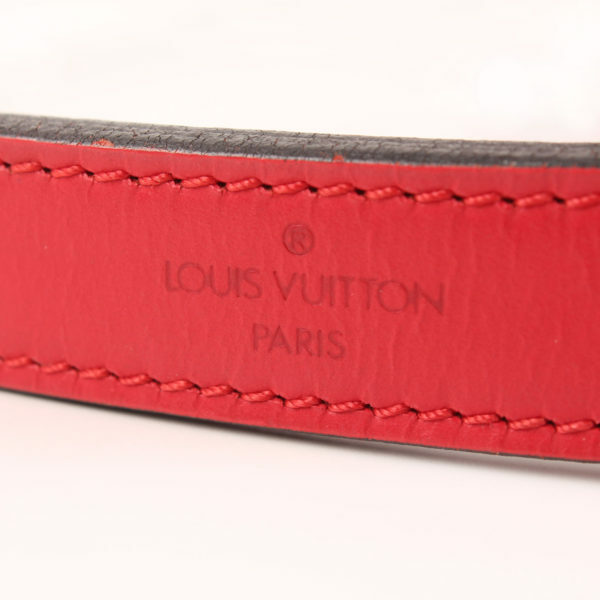 This leather is a very characteristic one in Vuitton, with its textured relief and vibrant appearance. A tote bucket shaped model, it features drawstring closure. 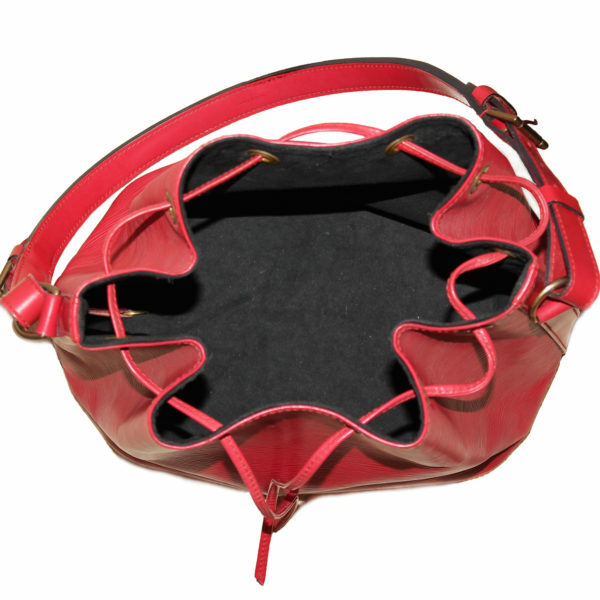 The bag has adjustable strap with two buckles to be carried on shoulder, golden hardware, and black suede lining. 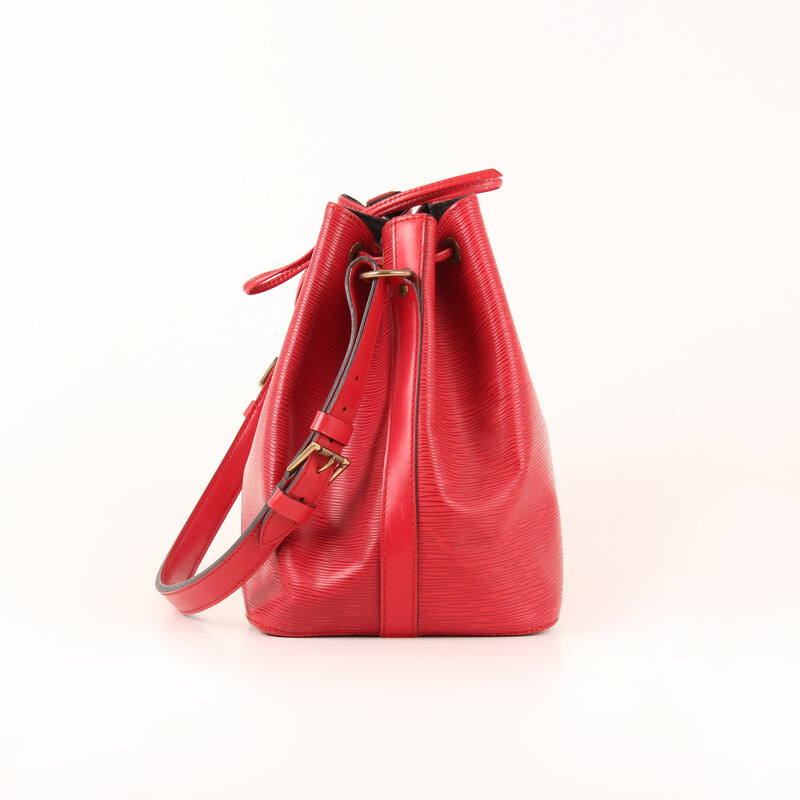 Thanks to its shape, the Noé has a lot of room to carry all your daily essentials. 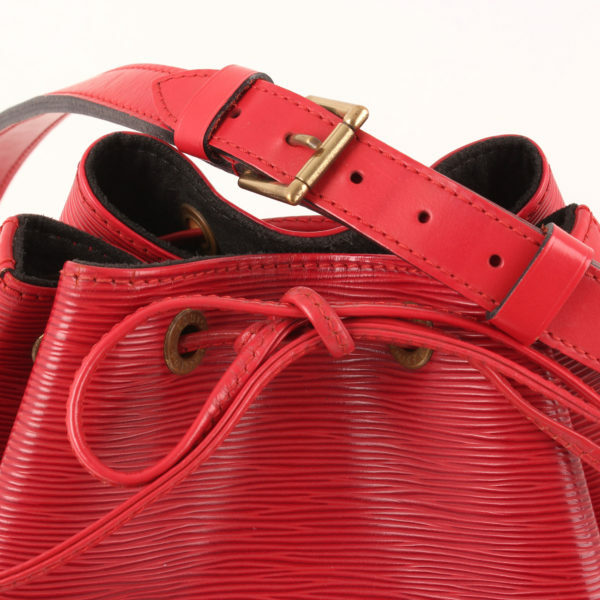 Vintage piece from 1993. 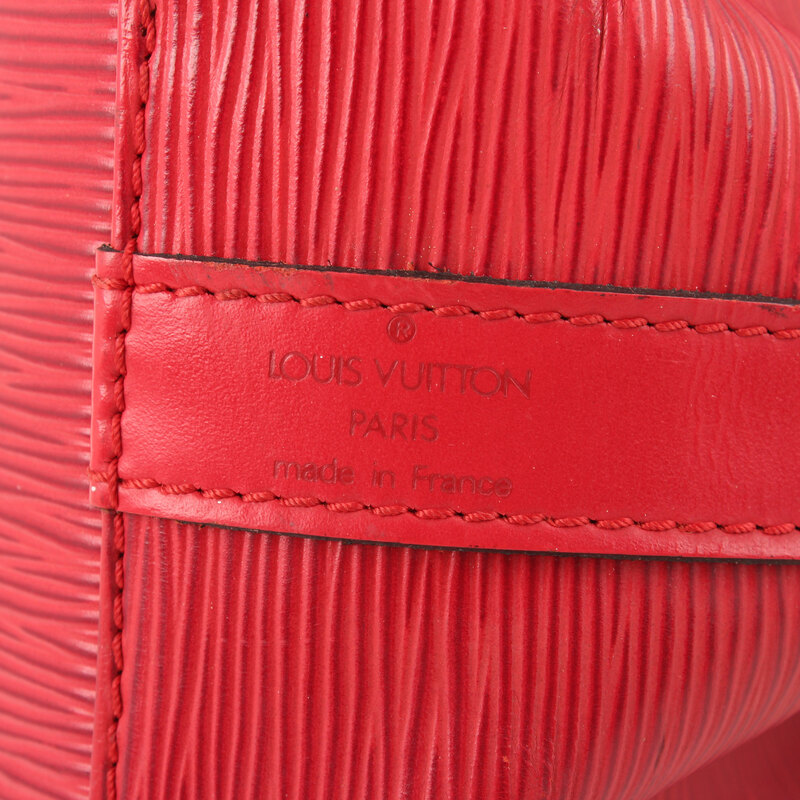 Details: Base and leather trim with signs of wear and some scratches in Épi. 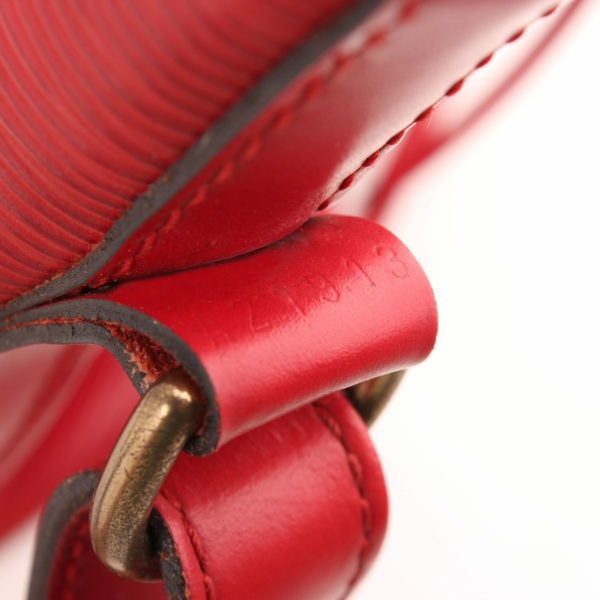 Hardware shows signs of wear.